10 Luxe-Hiking Nirvanas: Walking’s never been this glamorous! 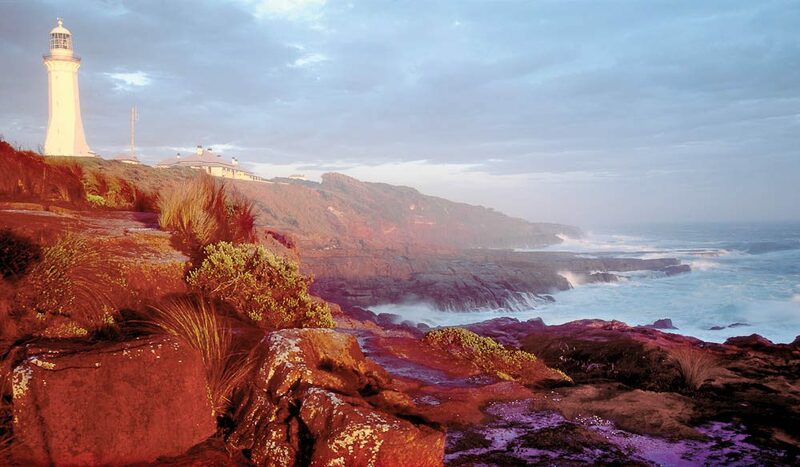 Alissa Jenkins explores ten stunning luxury walks around Australia. What: Australian Walking Holidays run a six-day, all-inclusive and fully-supported trek featuring selected sections of this iconic trail through the West MacDonnell Ranges. That is, guests are picked up in a 4WD and dropped off to walk the best parts of the trail, so they can see the sights without having to trek the whole 223km. Starting in Alice Springs and ending at Mt Sonder, this 88km journey also includes all meals, transfers and camping equipment, which is transported for your arrival to beautiful, permanent campsites, complete with hot showers and warm dining tents – exclusive to guests on this tour, of course. Highlights: The climb up Mt Sonder. 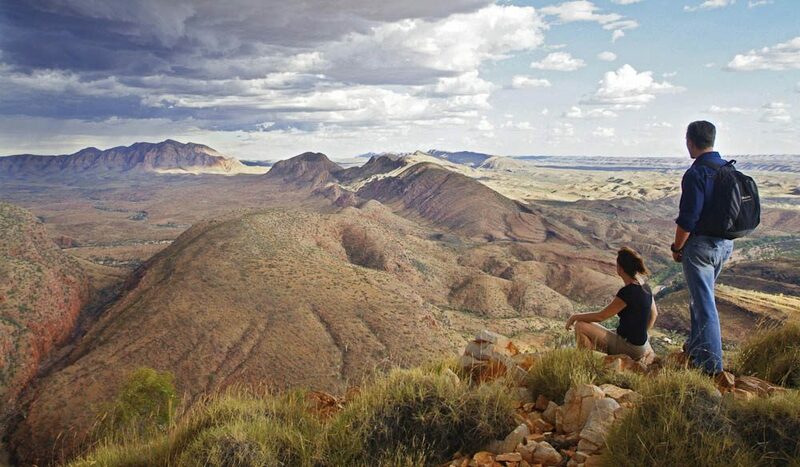 It isn’t easy – the track disappears at points – but the view from the summit is well worth the effort, showcasing the West MacDonnell Range in its entirety. Need to know: Temperatures in the area can drop below freezing in June, but reach the high 40s in summer. So double check the weather prior to your arrival and be sure to pack clothing that will protect you from the elements. 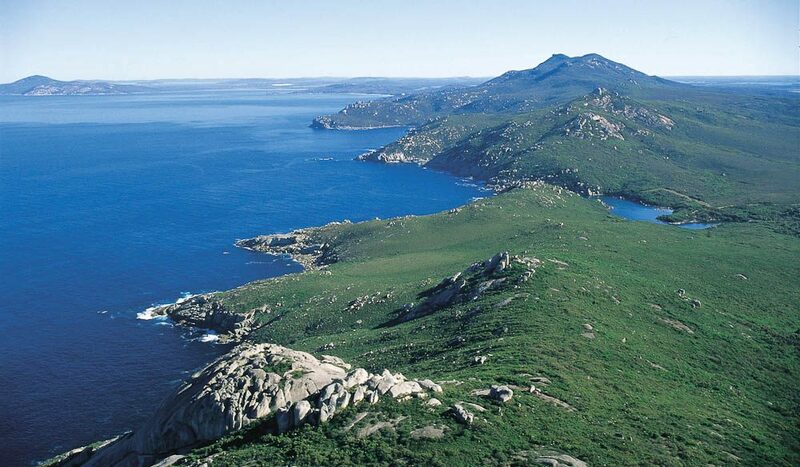 What: Cape to Cape Explorer Tours run a nine-day end-to-end guided tour of this 135km stretch, starting from Cape Naturaliste and journeying south to Cape Leeuwin in the state’s far south west. As well as spectacular coastal scenery, the tour also promises fresh and healthy meals – featuring local produce where possible – vehicle transfers between track and accommodation, as well as some well-appointed lodgings along the way. When to go: Spring is especially scenic, when a rainbow of wildflowers is in bloom. Highlights: There are a number of waterfalls to cool off in such as Meekadarabee Falls, as well as an array of local flora that cannot be found anywhere else in the world. Need to know: This is a moderate-level trek, covering 16-22km each day so it’s best to do some training in preparation to maximise enjoyment. 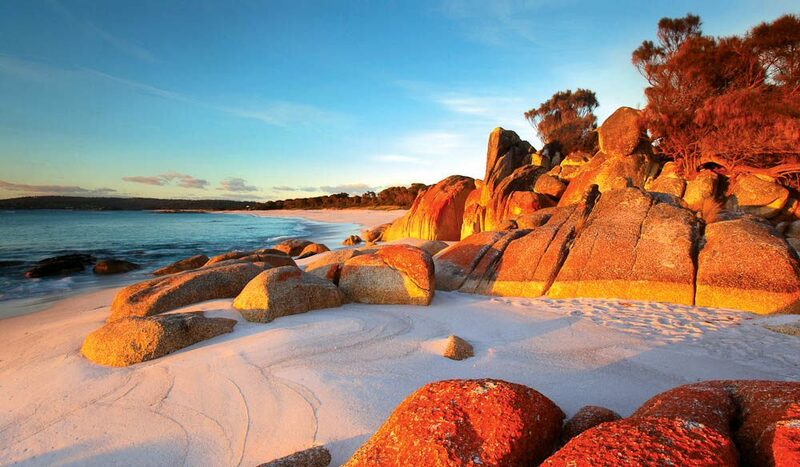 What: The Bay of Fires Lodge Walk follows a 27km stretch of coast throughout the pristine North East corner of Tasmania, featuring four days of exploring untouched beaches, walking through Mt William National Park and kayaking down the Ansons River. The experience also involves all-inclusive meals (dinners are three courses, with a focus on Tassie produce), and accommodation at luxurious Forester Beachcamp and award-winning Bay of Fires Lodge. When to go: October to May. Highlights: The native wildlife – from countless birds on Ansons Bay to whales, dolphins, wombats, wallabies, Forester kangaroos and possums… even the odd Tasmanian devil. Worth packing a pair of binoculars. Need to know: The temperature can change markedly throughout the day, so pack layered clothing. A backpack, Gore-tex jacket, sleeping sheet and pillowcase are provided on the day of departure. And, although guests typically carry their own luggage, porters can be arranged. What: Australian Walking Holidays operate a six-day camping tour that encompasses 85km of specially selected sections of the Bibbulmun Track – at 963km long from Albany to Kalamunda, this is how to experience the granddaddy of WA walks for the time poor. Showcasing the South West’s varied and stunning landscapes, guests can also expect all meals, camping gear and professional guides. When to go: September to November for the wildflower season. 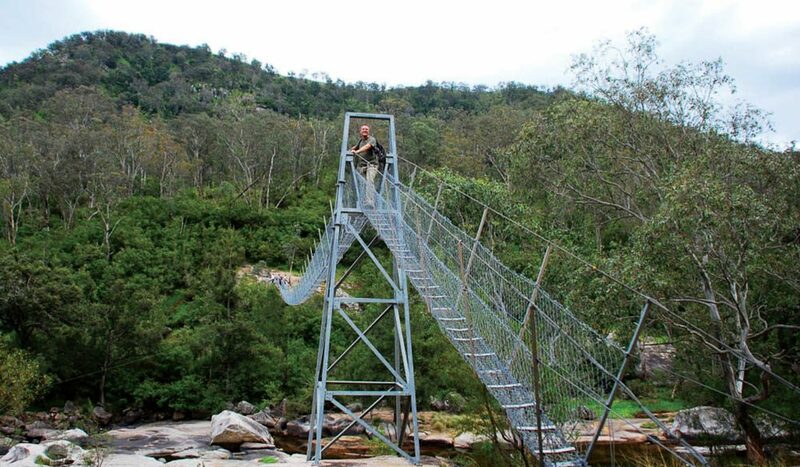 Highlights: The greatest panoramic views are atop Boonerring Hill, however traversing through majestic jarrah and karri forests via The Valley of the Giants Tree Top Walk is also a chart-topping experience. Need to know: Look out for boot cleaning stations along the way, and use them to help avoid spreading a devastating dieback disease called Phytophthora cinnamomi (carried by spores in the soil). Also keep an eye out for migrating whales between May and September. 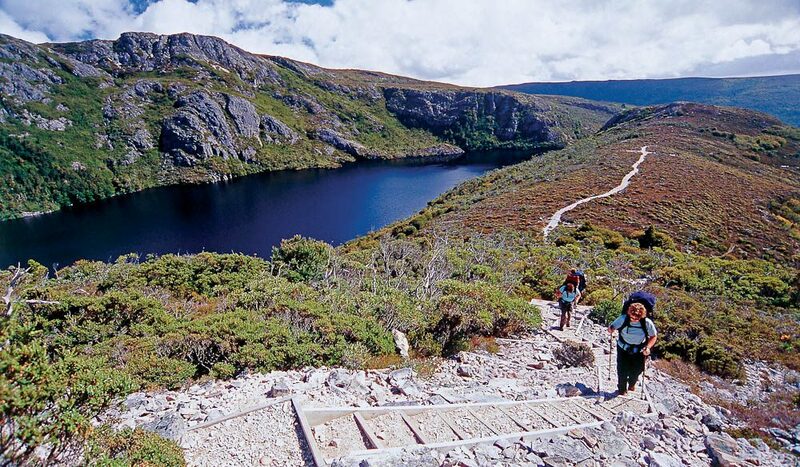 What: The Cradle Mountain Huts Walk is an award-winning six-day experience through Tasmania’s World Heritage Listed highlands. Stretching 63km from Cradle Mountain to Lake St. Clair, optional side trips to picturesque landmarks such as Mt Ossa, Lake Will and a number of lookouts and waterfalls are available. The accommodation is pretty special too – private huts with hot showers, sumptuous meals, freshly baked bread, a glass or two of Tasmanian wine and comfortable beds. Yes please! When to go: December to April, when the days are longer and temperatures warmer. Highlights: Lake St. Clair is Australia’s deepest lake, so either extend your trip with a 17.5km walk around its edges, or take a well-deserved dip. Need to know: A Gore-tex jacket and backpack is provided by the company. However, it can get icy cold in this region, so bring your thermals. What: Life’s an Adventure offer a three-day guided walk from Katoomba to Jenolan Caves in the Blue Mountains, covering 45km. Although you can opt to carry your own equipment and pay less, the deluxe package involves having your overnight bags transported, an already set-up deluxe tent with mattress, snack packs, gourmet meals and fine wine. When to go: Autumn and spring. Highlights: The winning end of the hike at the scenic Jenolan Caves – one of the largest underground cave systems in the world. Need to know: Bring some extra cash for the final day when lunch can be purchased at the kiosk at Jenolan Caves House. To actually enter and explore the caves, prices start from $27 per person. 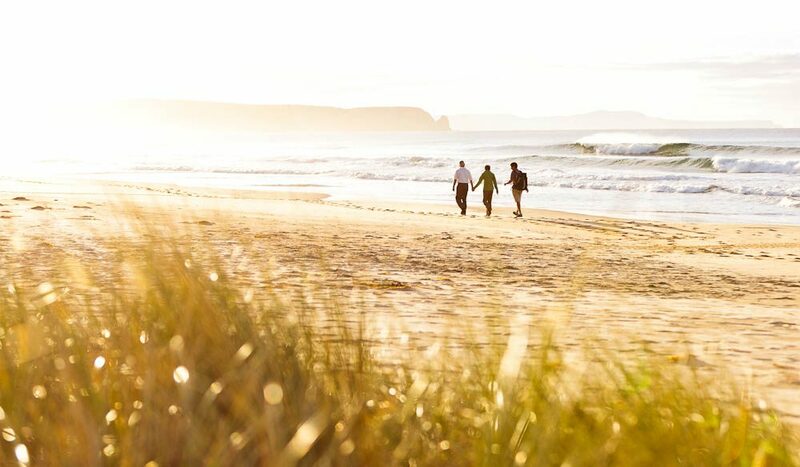 What: A three-day guided food, wine and walking tour, The Bruny Island Long Weekend experience is new to Australia’s luxury walk scene. Covering a leisurely 25km of coastal walks around the island, the tour’s foodie focus also allows guests to lap up fresh, locally-produced food, visit nearby producers, even pull your own oysters from Great Bay, and sample local, cool-climate wine. Then guests can rest in a luxury tent complete with a king-sized bed at Cloudy Bay camping area – set on a secluded 100 acre property. When to go: From September to May. Highlights: Part of the experience is going on Rob Pennicott’s multi-award winning wilderness and wildlife adventure cruise around the island, with the chance to see seals, dolphins, whales and albatross. Need to know: The tour includes transfers from Hobart– in a high speed catamaran on the way over, and then in a seaplane on the return trip. 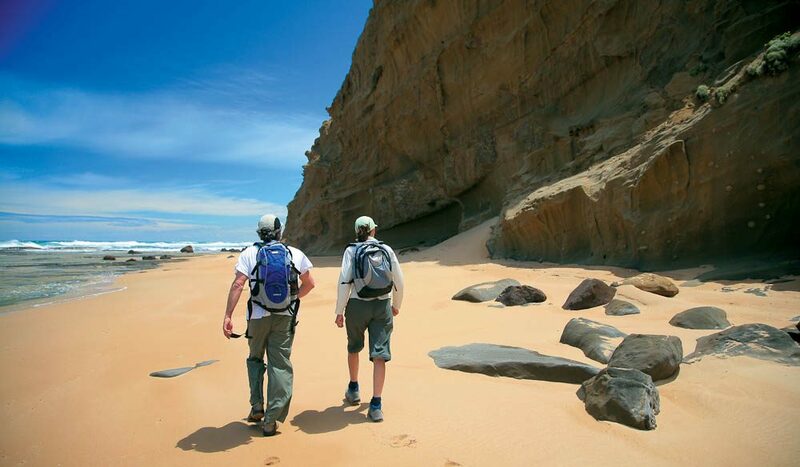 What: Bothfeet tours run a four-day guided Twelve Apostles Walk, covering the last 55km of a longer trail known as the Great Ocean Walk, along Victoria’s south coast. As well as including meals, guests can also retreat to the Bothfeet Walking Lodge in Johanna – a private stay with modern creature comforts (wi-fi, hair dryers) and a sustainable focus. When to go: Autumn is best with mild, more stable weather. Highlights: Obvious, perhaps, but the magnificent Twelve Apostles is a bucket-list experience. The guided package also includes a scenic heli flight over the top – gorgeous. Need to know: Much of your basic walking gear is provided including a day pack, walking poles, waterproof jacket, water bottle, beanie, fly net and gaiters. Also, guided groups meet and depart in Melbourne, with pick-ups included and airport drop-offs on the final day available. What: In full, this trail stretches over 600km through Vic, ACT and NSW, however the more condensed, and luxurious option is a seven-day Great Alpine Walk tour with Auswalk. Traversing Victoria’s High Country, this 100km trek takes in scenic mountain climbs, historic huts and rivers. Also included are meals, transfers and accommodation at a comfortable ski lodge or alpine resort to retreat to relax at night. And with two guides on hand, it means easier and harder walk options are available along the way. When to go: October to February. Highlights: Visiting historic huts such as Wallaces Hut, and although difficult at times, walking along the Razorback trail to Mt Feathertop. Need to know: Although on a guided tour, you still need to be quite prepared for this trek. Essentials to bring include a comfortable day pack, waterproof coat, suitable clothing, footwear and as always, be sun smart. 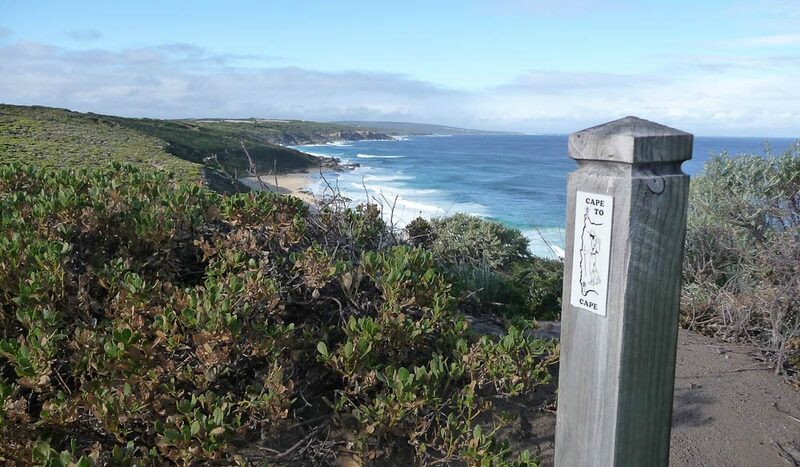 What: NSW National Parks and Wildlife Service has partnered with Auswide to launch this brand new four-day luxury trek through Ben Boyd National Park on the state’s far south coast – it’s so new, it hasn’t even opened yet. You can already do the relatively easy 30km walk unguided, however, which stretches from the historic Boyd’s Tower to Green Cape Lightstation. The guided experience will also include activities (such as kayaking and lighthouse tours), luggage transfers, accommodation at eco-friendly huts, and a cottage stay at Green Cape Lightstation. When to go: The guided walk doesn’t launch until September this year, but we can already tell you that the South Coast’s sunny summer months are great for taking advantage of the picturesque beaches. Highlights: Far from standard camping fare, the menu will include local delights such as freshly-caught seafood and bush tucker, drawing from local Indigenous influences. Price: This wasn’t yet confirmed at time of publication, but keep an eye on the tour provider auswideservices.com.au. Would like to know more about the cape to cape walk, distance from start to finish, degree of hardness and of course price, ( four days is it?) is it the same for a person on there own? I put cape to cape walk I meant light to light walk.